Ready to check out SeaWorld? 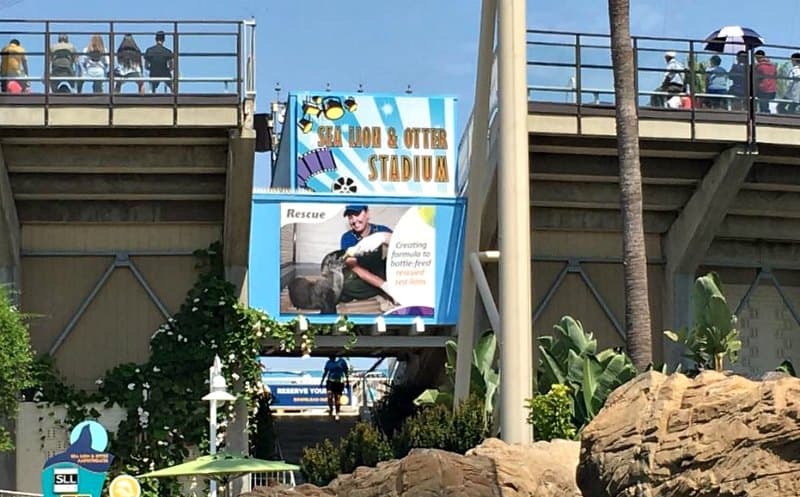 The Ultimate Guide to SeaWorld San Diego will make sure your SeaWorld visit is the best day ever! This post is brought to you by SeaWorld San Diego. While we were guests of SeaWorld during our visit, all content and opinions expressed here are our own. SeaWorld recently invited our family to come and experience the SeaWorld park in San Diego, California. We first visited SeaWorld about 5 years ago when our kids were only 3 and 5 years old. We went again last November, but it was cold and rainy so I wouldn't let anyone get wet and they were not happy about it. 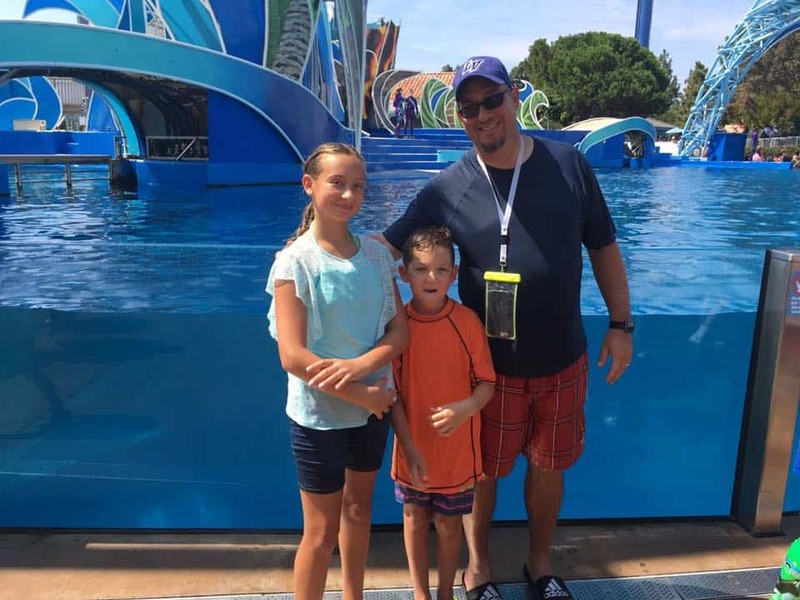 This visit in early September the weather was sunny and hot and my kids were so excited to finally experience a true SeaWorld moment – the Soak Zone. SeaWorld is unique from other theme parks because it has three types of attractions: shows, rides, and animal habitats. And when your family wants to do it all, it takes a little planning. After three trips, I feel like we finally have found the best way to make the most of a day at SeaWorld San Diego. The shows at SeaWorld definitely make it a unique park. My husband loves the shows. My tip is to see all the shows first. Check the schedule and just go to back to back shows as possible. In the past we've tried to “circle” around the park, but we ended up missing shows. So plan to do those first. Dolphin Stadium and Sea Lion Stadium are very close so it's easy to stay in that area for shows. Then head across the park to the Orca Encounter. We were able to see the three we wanted by 2 PM. We ate lunch and then headed to see animal exhibits for the afternoon. 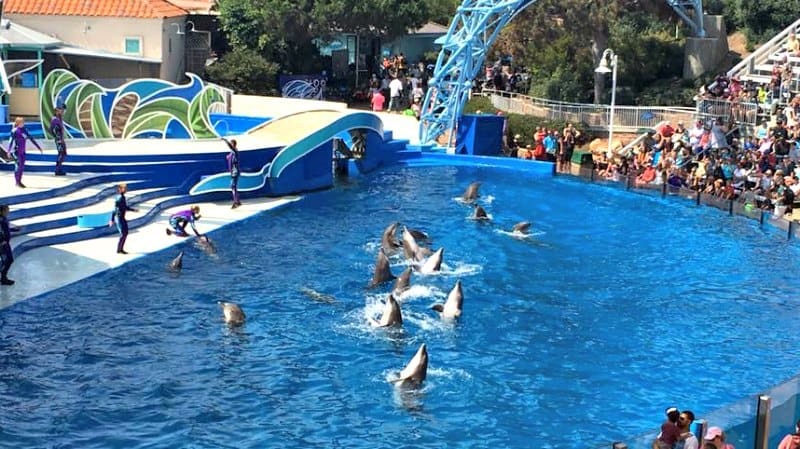 Our favorite shows at SeaWorld San Diego include SLL (Sea Lions Live! ); Pet's Rule! ; Dolphin Days (dolphins and pilot whales) and Orca Encounter. Both the Dolphin Days and Orca Encounter have seating areas in the Soak Zone. Wear a swimsuit or bring extra clothes if you want to sit there because you will get wet. The rides at SeaWorld San Diego are the favorite of our tween. 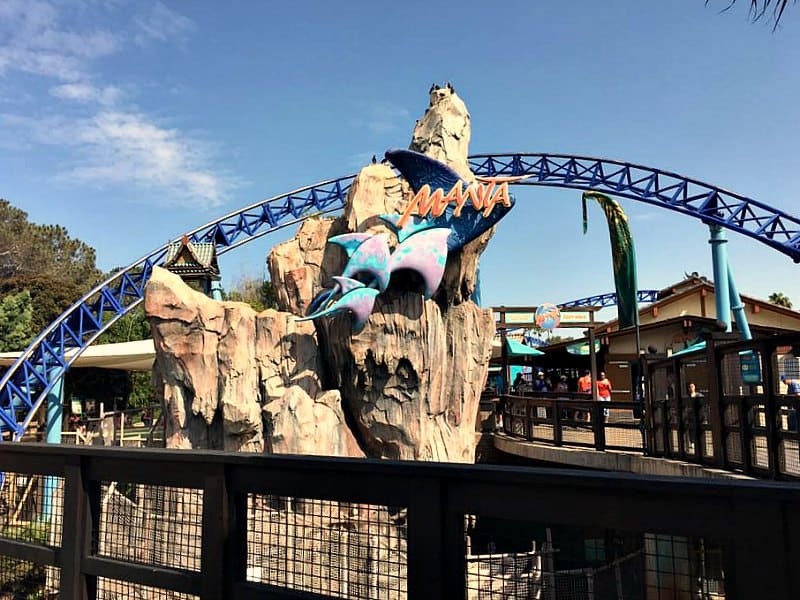 If you love roller coasters, Manta is a must! Hit it when the park opens to avoid long lines and then head to your first show. If you brought your swimsuit and want to get wet, Shipwreck Rapids will help everyone get soaking wet. Wild Arctic is a fun way to start exploring Arctic habitats in the park. We have not ridden Journey to Atlantis, but that's another roller coaster where you might get wet. 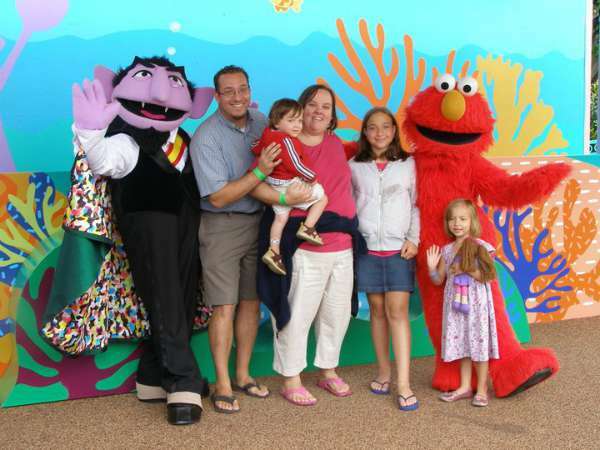 If you have little kids, SeaWorld San Diego has an entire Sesame Street area of the park called Sesame Street Bay of Play with fun rides for little kids. There is also a playground type area where they can run around, climb, and burn off energy. This area was a highlight for our kids when they were 3 and 5! The animal habitats are my favorite part of SeaWorld. I could spend the entire day at Wild Arctic watching the beluga whales and walruses. SeaWorld offers a bunch of amazing ways to watch, interact and even touch sea life. You can see sharks, penguins, walruses, seals, otters, sea lions, dolphins, sea turtles, flamingos and more at SeaWorld. 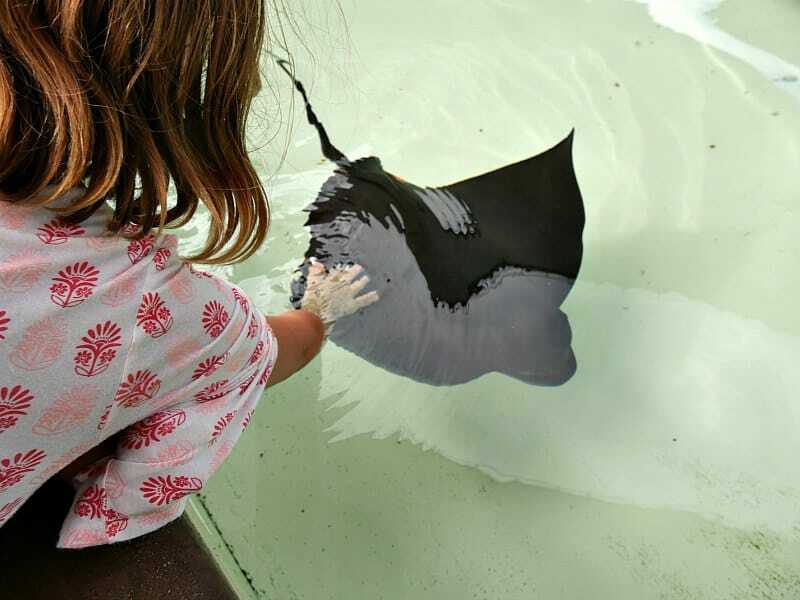 Kids love to touch the California bat rays and feed fish to the sea lions. In the animal habitats, you'll also find a lot of educational information about the animals. 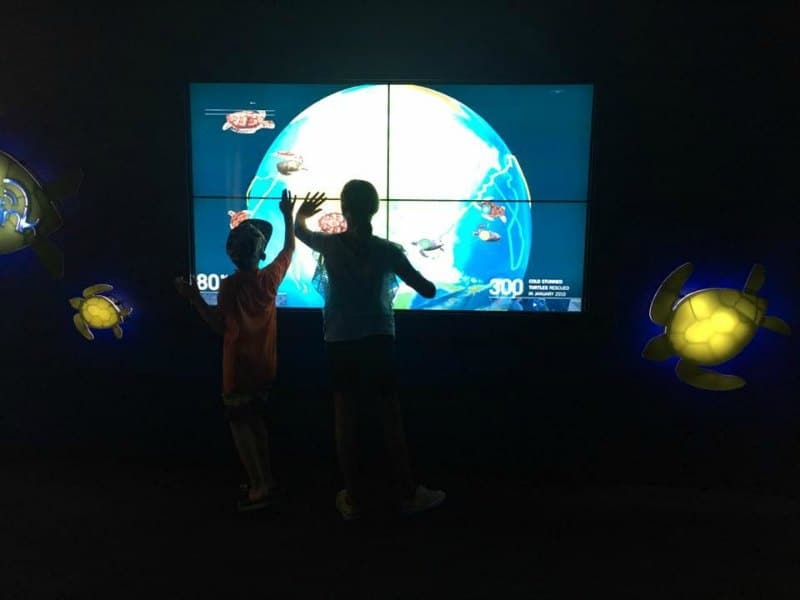 My kids spend just as much time checking out the interactive displays learning as they do watching animals and riding rides. After three trips to SeaWorld San Diego over the past 5 years, we've picked up a few tips! Prepare to get wet, if you want to. There is plenty to do and not get wet. But at 8 and 11, my kids LOVED wearing their swimsuits and getting soaked all day long. Most rides offer lockers to store belongings while you ride so your stuff can stay dry. SeaWorld offers an All Day Dining Deal. We did this once and ate breakfast, lunch and dinner (plus a snack) in the park. It's a good deal if you plan to eat more than one meal in the park. SeaWorld San Diego offers three different levels of parking – general, up close and VIP. We pay for the up close parking, which is the first 6 rows. It's worth it after a long day at the park! While the gates may not open until a set time, there is plenty to do and see before the park opens at the main entrance. Get to the park 30 minutes before the gates open (earlier if you need to purchase tickets) to be one of the first people in. If you’re able to purchase tickets ahead of time, it’s definitely worth buying online as SeaWorld sometimes has great deals and discounts! See ticketing options here. 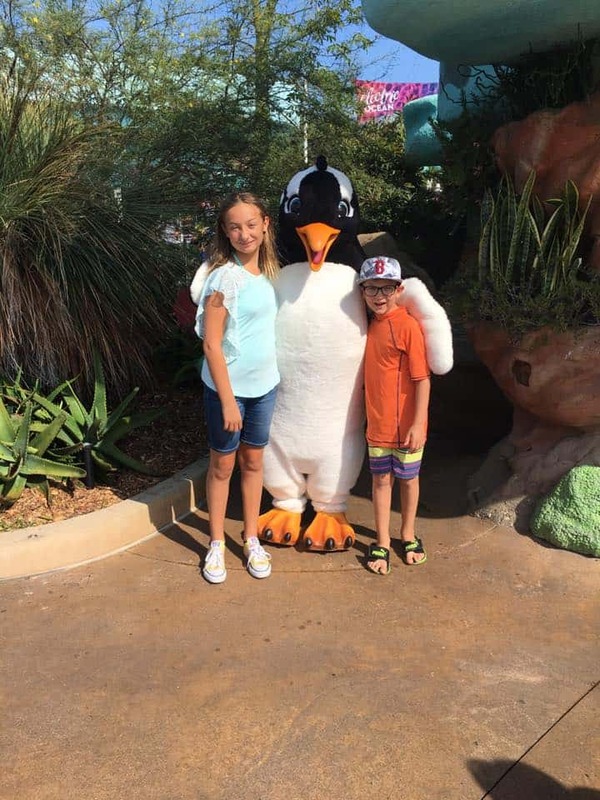 SeaWorld is a fun and unique park great for families of all ages! Hopefully our tips and tricks will help make your SeaWorld adventure one of your best days yet. Ready to book your trip to SeaWorld San Diego? See ticketing options here.